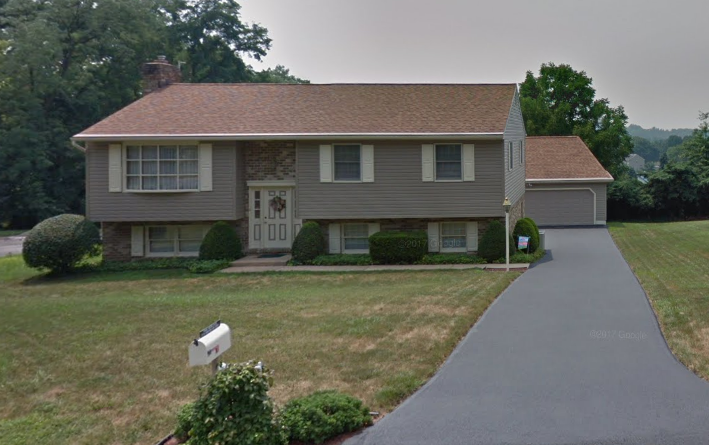 Problem: Homeowners in Mountville PA, near Lancaster PA, wanted to switch to gas heat. But, there were no gas lines in their area. Solution: Performed a heat pump installation with a new high-efficiency model that provides both heating and cooling. 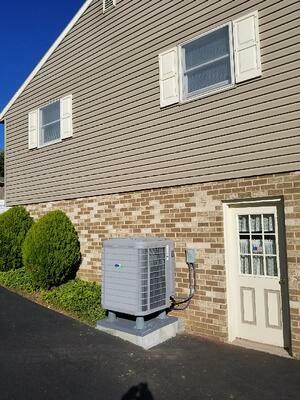 Our homeowners in Mountville, PA were ready to upgrade their HVAC system. But, what they wanted to replace it with wasn’t available in their area. Fortunately, we were able to find an option that would work just as well. Why isn’t natural gas available in my neighborhood? As HVAC contractors who specialize in converting heating systems to natural gas, we get this question a lot. And, unfortunately, the answer is out of our hands. Although gas heating has been around for a while, it hasn’t always been available everywhere in the country. Like water and electricity, it must be transported from mains and out to every house. But, while, there’s no alternative for those other utilities, heat is a different story. Along with gas, there’s also electric, oil, wood pellet and geothermal heat among other sources. And, for a long time, gas heat was more expensive than some of those options. It was also less reliable than other sources. For these and other reasons, not every area was set up for gas heat. Today, that’s changing. The price of gas has dropped as more resources have been discovered. And, the technology to install secure lines has improved, too. With more interest, more mains are popping up across the country. Unfortunately, however, they haven’t reached everywhere. And Mountville PA is one of those places, even though other cities and towns in the Lehigh Valley have mains. This situation meant our homeowner's first choice wasn’t an option. Fortunately, we offered a new system that did the job just as well. A heat pump provides heating and air conditioning for a home. It does so in a very different way from most sources. HVAC systems using gas, electricity or oil generate heat by burning those energy sources. That’s not the case here. What they do, exactly, is create heat exchanges outside and inside the home. In other words, it doesn’t necessarily heat or cool the air in your home. Instead, it removes heat in the summertime. And, in the winter it draws from the heat outside the home and sends it inside. They do this by working with the fact that heat always moves toward cooler areas. Then, it uses a refrigerant liquid to create the heat exchanges. When it’s cold out, any heat that's outside naturally moves toward the cold refrigerant liquid in the outdoor unit. The system then uses a compressor that lowers the liquid’s boiling point. This way, that little amount of heat makes the difference boil and become a gas. The system then extracts the heat and sends it into the home. The refrigerant then condenses back into a liquid, and the cycle begins again. In warm weather, the system then does the job of central air conditioning. Here, the system works in reverse. It draws heat from inside the home to the liquid in the outdoor condenser. The heat exchange occurs inside the system, transferring the heat outside. How does a heat pump save money on energy bills? What makes a heat pump attractive is that it saves money on energy bills. Since the refrigerant never leaves the condenser, it never needs to be replaced. And, since the bulk of the work happens due to heat exchange, the heat pump doesn’t need a lot of power to do its job. This setup uses much less energy than other sources. And, less energy means less you pay for in monthly utility bills. As it turned out, our homeowners already had a heat pump. But, it was old and inefficient. They wanted gas heat because it would cost less to run. However, a newer heat pump offered savings as well. With their old pump, the homeowners were spending an average of $150 a month to heat or cool their home. Now, they’re paying $100. That’s due in large part because the newer models much less energy to do the same job as older heat pumps. And, there’s more. Since the new system is much more efficient, the homeowners were eligible for a cash rebate. Their utility company, PPL, offers incentives for people to use HVAC systems that use less energy than older ones. These are well-known to HVAC companies, and we do our best to make sure our clients know about them. In this case, the homeowners received a $200 rebate for their heat pump installation. And, they love their new system. Even though it’s not what the homeowners originally wanted, it does everything they want it to do and more. It provides heat for less money than they were paying. It also handles air conditioning and is whisper-quiet all the time. Are you ready to upgrade your HVAC system? Contact us, and we’ll design the perfect solution for you!